Fresh off his overclocking livestream heroics yesterday, world leading overclocker 8Pack and OverclockersUK are unveiling their latest custom system - the Comet. 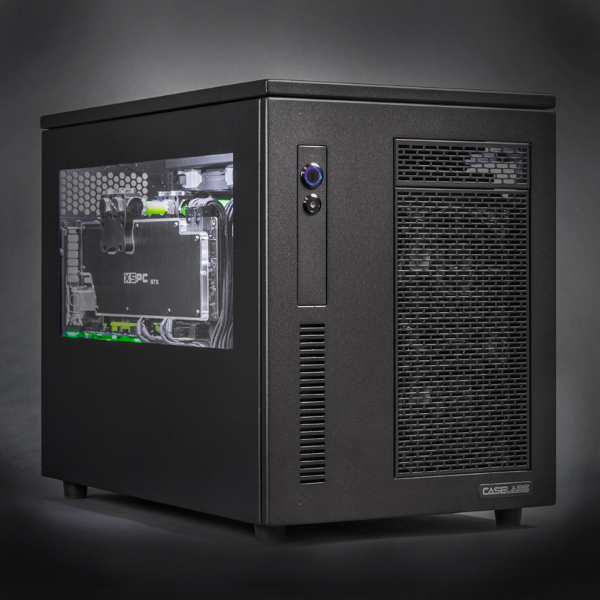 It occupies a position diametrically opposed to the gargantuan Supernova of the same range, trading the expansiveness of a supertower chassis for a more modest MATX Caselabs chassis. You may therefore be expecting a series of modest specs therefore? Maybe a mid-range GPU, overclocked CPU and a couple of high-capacity hard drives? Yeeaaaahh no. Each Comet features a highly overclocked Intel Core i7 4770K CPU snuggled within a GIGABYTE G1.Sniper M5 Z87 motherboard. Complementing it are at least 8GB of Avexir Core Xtreme Green DDR3 2933MHz RAM, further expandable to higher capacities if you're flexible with the overclock. As a base for any system that's pretty daunting. The graphics side isn't neglected either. 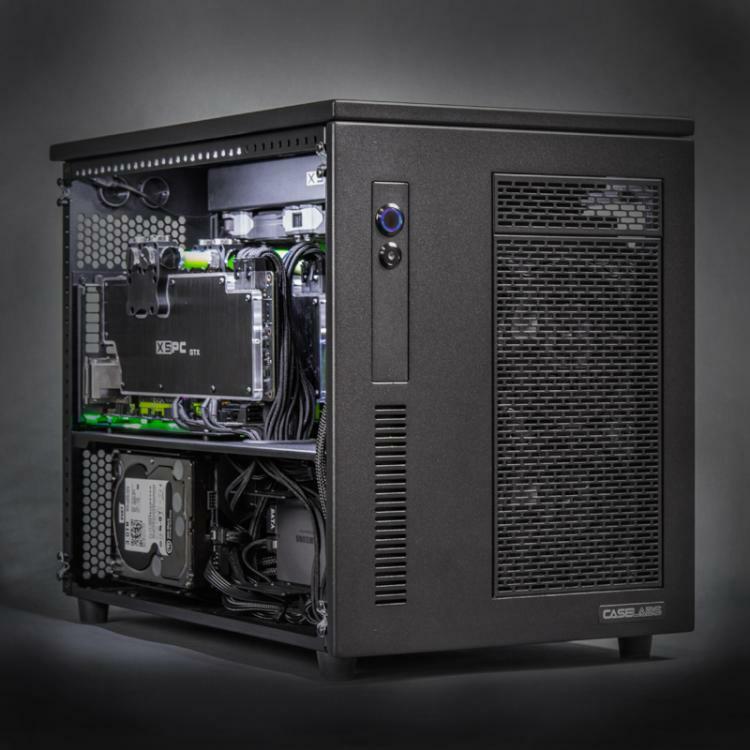 Despite the confines of an mATX chassis each Comet comes equipped with two NVIDIA 3GB GeForce GTX 780Ti's in SLI, both overclocked to the bleeding edge without compromising on stability. You're hardly likely to be held back by the storage either. Two 500GB Samsung 840 EVO SSDs amply accommodate OS and game files, whilst one 3TB HDD is set up purely for storing data of the more common variety such as audio and video. A 500GB capacity for each of the Samsung SSDs means that RAIDing them isn't necessary, ensuring higher reliability as well as excellent performance. 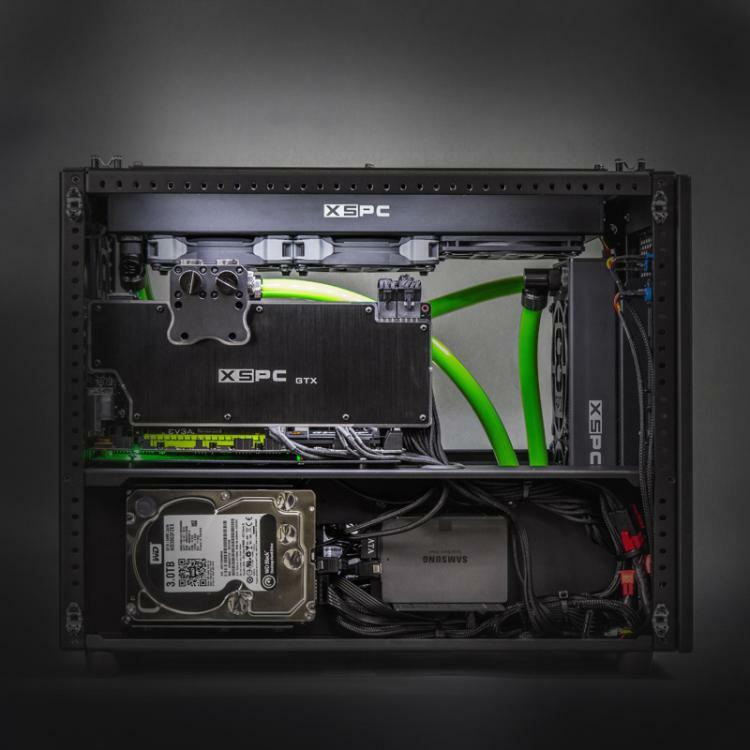 As you would expect from every 8Pack system the CPU and both GPUs are watercooled in a custom dual-loop configuration. This enthusiast level of cooling is what allows such high overclocking whilst retaining stability for realistic long-term use. The system outlined above will set you back £4,999.99 inc V.A.T. ; that's a considered purchase by anyone's estimation. However each is hand-built by 8Pack himself and includes additional aesthetic customisation options to make it tailored to you, unlike so many off the shelf affairs. Additionally each is backed with OCUK's 2-year collect and return warranty, providing a peace of mind you wouldn't have if assembling such a system yourself. 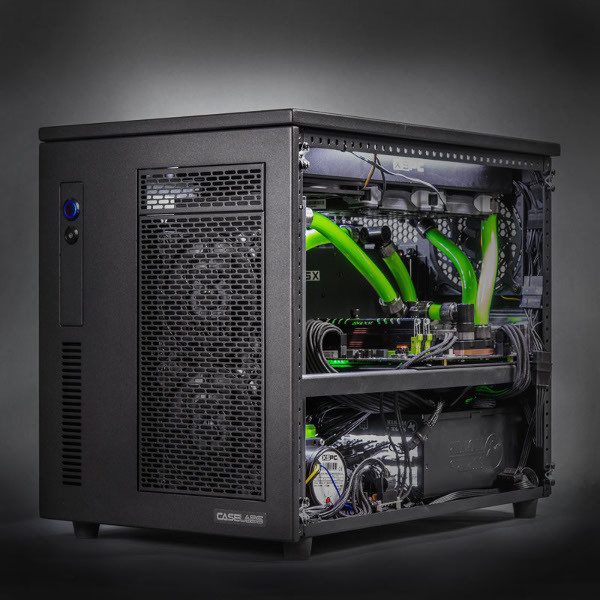 For more information check out OCUK's 8Pack System page, and be sure to follow OCUK on Twitch for more overclocking world records in the future.